Blog #2 – Can you really personalise learning? When I began working in the industry in 1994, the term ‘personalised learning’ was a buzz phrase being banded around in the education sector. The idea that education should be tailored to the individual needs of the students is not a new one and the phrase has been around since the 1960s but the fad of ‘personalised learning’ has ebbed and flowed ever since. However, can learning truly be personalised or will there always be barriers in the way? It has always been a strong intention of mine since I began designing educational resources to personalise learning as much as possible. 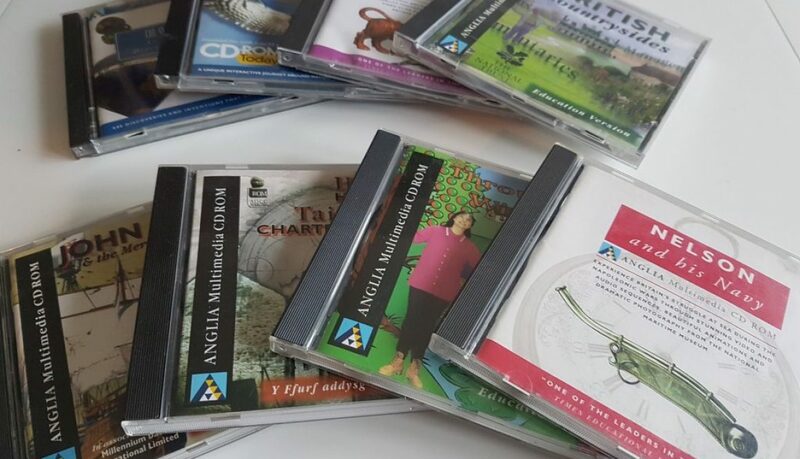 Even in the days when I was producing CD-Roms for whole class teaching, extra resources were provided to give teachers a toolkit to tailor the learning for their student’s individual needs. Back in the 1990’s and 2000’s, software didn’t allow sophisticated tailoring. Although the use of scenarios did allow learners to make choices and change the direction they wanted their learning to go in. Based on their responses to specific questions, students could be directed to content more relevant to them, using ‘branching’. There was still however a limited amount of content programmed into the software and a set number of journeys the user could be taken on. One industry where we have really seen a shift towards a more personalised experience is e-commerce. Since the emergence of the internet, products have increasingly been marketed through personalisation. Amazon and other retailers can use algorithms to tailor offers to you based on your previous purchases i.e. ‘people who bought this’ tag lines. When we enter a search term into google or look at products online, adverts for those products follow us through social media and the websites we visit to remind us to buy. Can this be utilised more in education and training? Is it that straightforward? Can the actions of learners help optimise learning by bringing key information to their attention? Already in education there is some ‘personalised learning’. Move forward to this decade and the emergence of dashboards such as BBC IPlayer allowing you to select content for your ‘channel’ and programmes you are interested in. This however very much still puts the learner in control. How does the learner know what is best for them? I designed a website in 2013 for the Norfolk and Suffolk Dementia Alliance called The Learning Location. 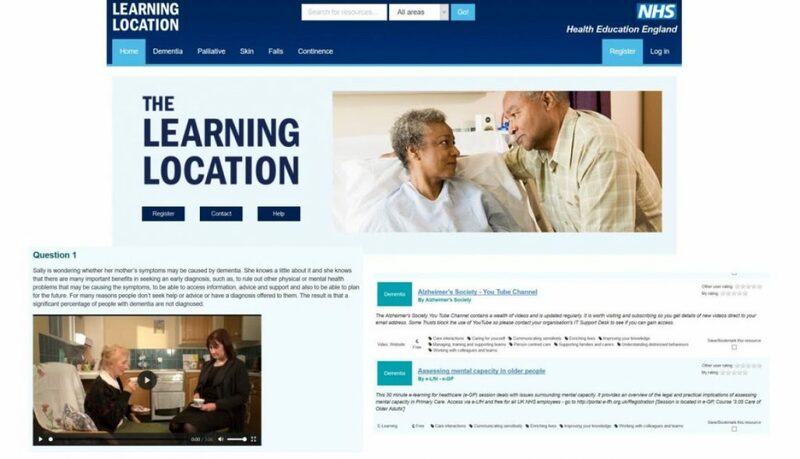 The overall aim was to provide access to training resources to people working with dementia patients, but instead of just providing a list, users could register and provide details such as their job role, qualification level and they would be shown training resources that would be relevant to them. All resources from e-learning, day workshops, academic lectures to college and university courses were ‘tagged’ with metadata such as audience, qualification level and resource type. This directed the right information to the right people. We also provide several tools such as a Confidence Tool and a Learning & Development Needs Tool. The Confidence Tool allows users to rate their own confidence against given competency areas. They could revisit this as many times as possible, reviewing their increase in confidence as they progressed through recommended training resources. The Learning and Development Needs tool provided 3-character video scenarios, each of them dealing with different competency areas taken from the Competence Tool. Users answer questions as they progress and their responses allow the system to mark their knowledge on competence areas, then directs them to resources specific to them. They can also ‘bookmark’ resources, and return to revisit the Confidence Tool. Further funding was later available to develop learning locations for Palliative Care, Skin Care, Falls and Continence. These tools were very successful. Through self-assessment, participants could be directed to the right learning experience but what if the computer did the assessment. What if the learning could be tailored specifically to that person like a teacher would? Enter AI and AR. AI, or artificial intelligence is when a digital device uses perception and then takes action for maximum success. Going back to the software where the learner’s choices led to a range of set outcomes, theoretically AI could access how a learner is doing and create a new outcome if it was in the best interested of the learner. AR or Augmented reality is where using a headset, learners can experience a simulated environment. This has endless opportunities for learning about places and situations that are difficult to set up. Surgeons could potentially learn how to operate without opening up a human. With the technological advancement of recent years, the opportunities are endless. It seems inevitable that AI and AR will become a key component in learning. A buzz phrase in recent years is the term ‘agile learning’. This is where the development of educational content is focused on speed, flexibility and collaboration. AI helps deliver content in this way. The benefit for businesses is a quick, effective and well-tailored learning experience for each individual learner. Employees can therefore get back to work and put what they’ve learnt into practice in no time. Start a blog they said. It’ll be fun they said. It’ll get all manner of new and interesting people visiting your website and raise the profile of your business. Show them you are real people and you’re passionate about what you do. It will transform the whole operation. Now it sounds simple, doesn’t it? We’ll just write something interesting about what we do. But where to start? What to write about? I could tell you that I’ve been working in the digital industry involving interactive media and multimedia since before the internet. This was way back when Philips Laserdiscs were all the rage. I could also tell you I’ve witnessed the emergence and boom of the internet, interactive TV, early 3D modelling, DVD-Roms, Blue screen and visual effects such as Chroma key filming. I’ve also worked with Tony Robinson and a former Coronation Street star. But would that interest you? Would it make you want to work with me? What you really want to know is what’s happening in the industry now and how it can be used to optimise learning. The digital age has changed the way we work, shop, socialise and for the purpose of my blog posts, how we learn. It’s such a broad area to write about because so much has happened in such a short space of time. What’s clear is that digital technology has great benefits for enhancing education. With most people having a personal computer to hand 24 hours a day and unlimited access to the internet, it makes sense to capitalise on this. Education is more accessible than ever and learners can access and interact with online courses in ways that were unimaginable before the internet. This empowers educators to create the most engaging learning materials ever. The truth is, the experiences I had in my little corner of the digital age are valuable ones because they led us here. I could write about any one of them. They are part of a very large puzzle but give some insight into how digital technology evolved. Understanding the past helps us shape the future. I’m going to make blog writing a challenge, to travel back through the industry I’ve worked in since 1994. By looking at trends, white papers and assessing the views of others in the same business, I’m going to provide my spin on things. All those years and experience must count for something, right? I’m sure I’ll travel down some familiar paths but I’m hoping some surprises will get thrown up too. ‘We shall not cease from exploration, and the end of all our exploring will be to arrive where we started and know the place for the first time.’ TS Elliot. This Blog has been written by Andi Blackmore, Director at Inspire Interactive. Watch this space for more blogs from the team here…. Have a question about E-learning or how we may be able to help your business? © 2017 Inspire Interactive E-learning & Digital Training Solutions.